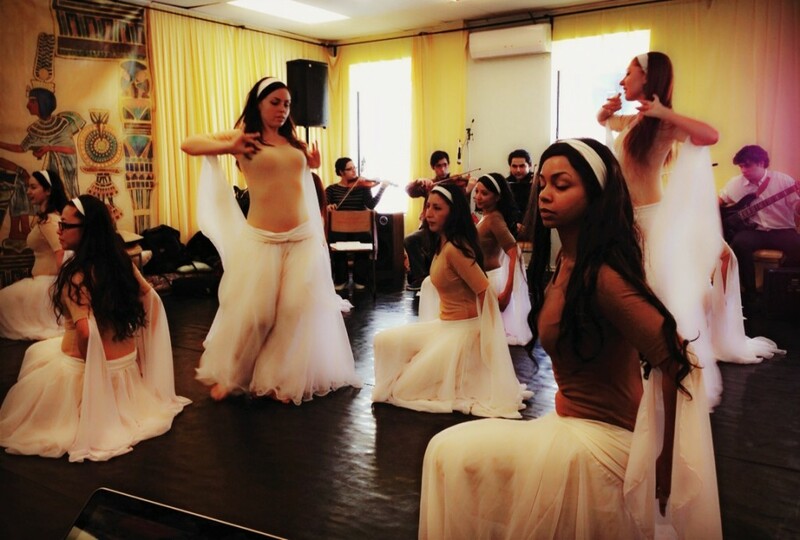 Last weekend, I had the esteemed privilege of attending a rehearsal of the latest project by the critically acclaimed Arabesque Dance Company and Orchestra. 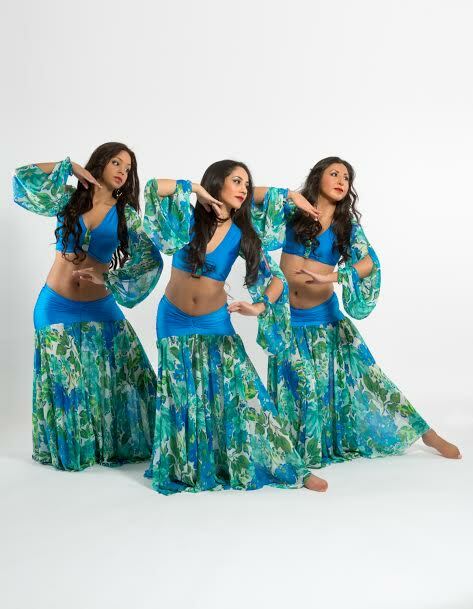 Founded in 1992 in downtown Toronto, Arabesque features dance and music styles of the Middle East with contemporary twists. Titled SAWAH, meaning traveller or wanderer in Arabic, this latest dance and music production premieres on Thursday, April 10th at the Fleck Dance Theatre at Harbourfront Centre. 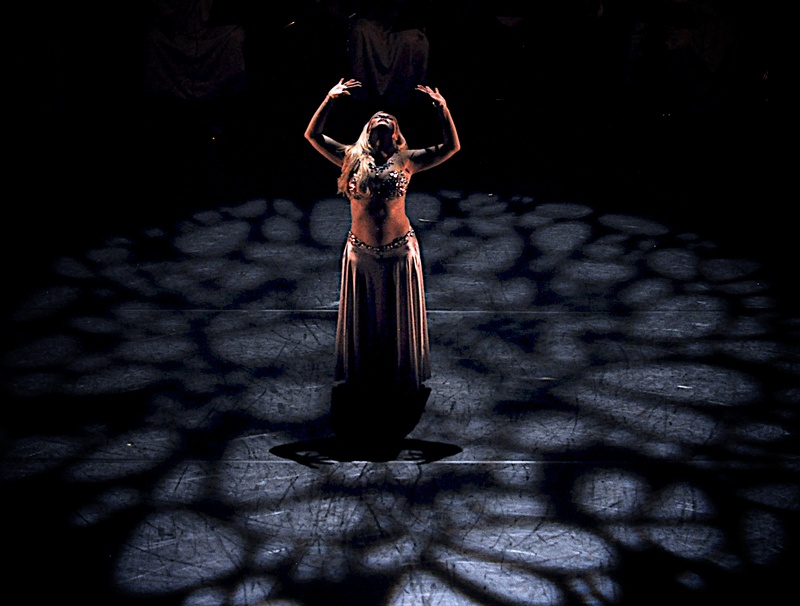 SAWAH is directed and choreographed by Arabesque founder Yasmina Ramzy; its music is directed and composed by Bassam Bishara and Suleiman Warwar. 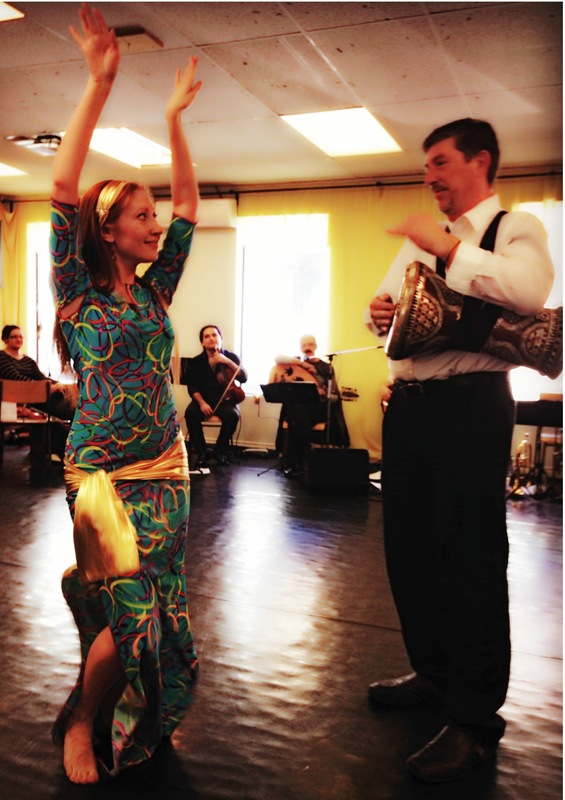 With many years of teaching Middle Eastern dancing, Yasmina had travelled to Egypt and Syria to study her art and performed with renounced artists from the area. Although her training is rooted in bellydancing, Yasmina believes in empowering women through exploring their femininity, not only through expressing the beauty and sensuality of the female form, but also through the complex emotions and spirituality of the dances. This is pervasive in all of Arabesque’s productions, and SAWAH celebrates this theme no differently. Stylistically, SAWAH explores the essence of Arab art, through its use of music from countries like Saudi Arabia, Egypt, and Lebanon (to name a few). 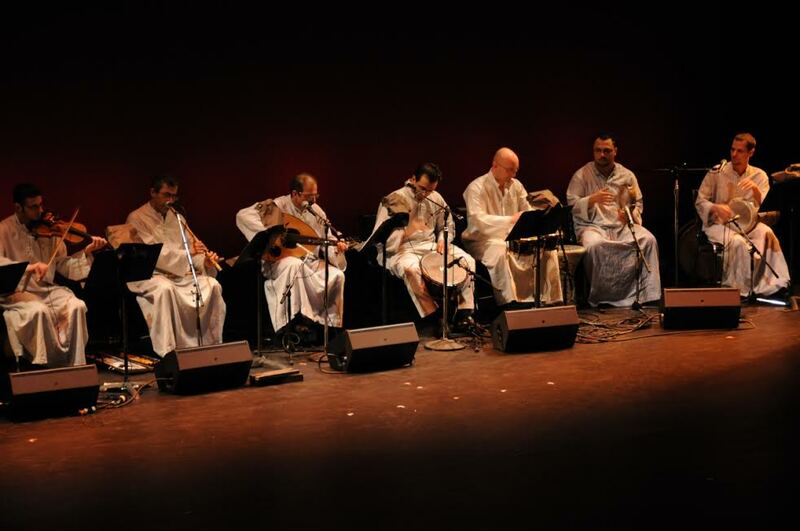 Although the production pays tribute to the authenticity of traditional Arab music, it infuses its own spin of Western styles, creating a unique blend of traditional and contemporary repertoire. Many will be amazed by how unpredictable and yet relatable the performances are. I instantly recognized the Western influences and was pleasantly surprised by how these forms flowed through both the music and dance so seamlessly, tastefully intertwining with the more traditional segments. 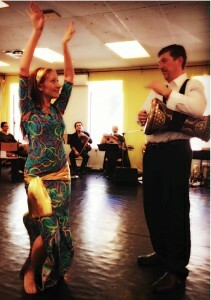 The dances are inextricably linked to the percussion-based music, the two forms beckoning and complementing each other. 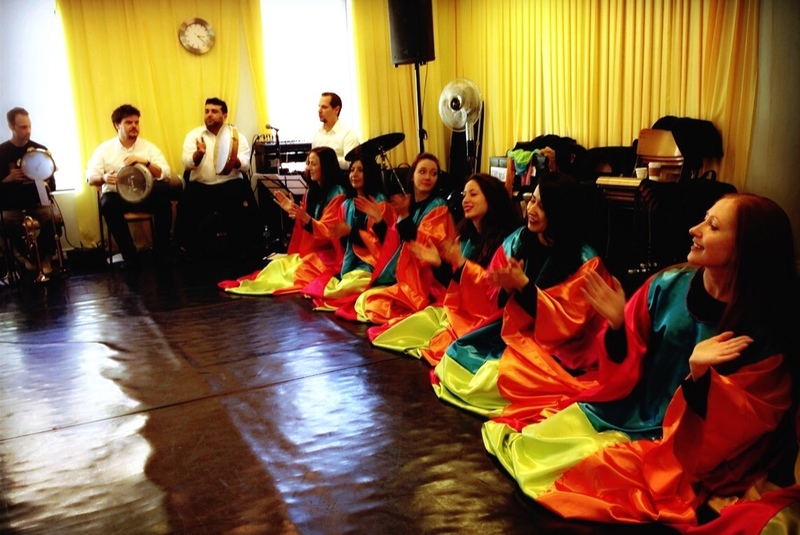 Donned in many intricately colourful costumes, the dancers are graceful and entrancing, conveying an explosion of energy that is spirited, moving, and occasionally even quirky. With dumbek rhythms that drive much of the music, the arrangement is spellbinding. Sometimes accompanied by Bassam’s stirring vocal, the orchestra sets the backdrop for dancers to move though space, altering the performance to a level that is both enchanting and intoxicating. Over 20 dancers and 20 musicians are set to perform on the Fleck stage in this production. The ensemble is a multicultural cast originating from 12 different countries. Many of the performers have been with the company and working with the directors for 9 years; their successful collaboration is a testament to the longevity of their time together. There are a number of dancers who are based out of Montreal, and they commute to Toronto for their weekly rehearsals, just to be in this production. The passion and drive of these performers are indisputable and truly admirable. From humble beginnings, SAWAH was funded through Kickstarter as well as arts councils. Gaining much support from people around the world, the crowdsourcing project was a success. As the show takes off, Yasmina hopes to bring SAWAH on tour across the country. 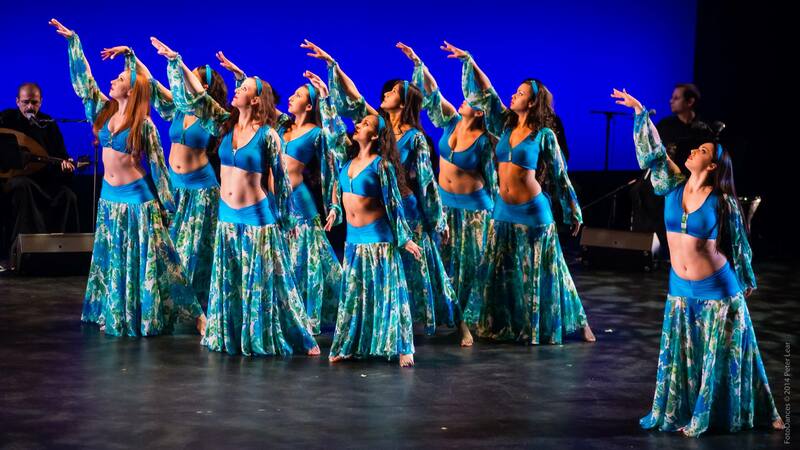 Arabesque and its various productions are the embodiment of a true Canadian story, with its timeless principles of celebrating women, Middle Eastern arts, and multiculturalism. It’s clear that many who had pledged online for the troupe also understood the value of supporting our local arts, and saw the immense talent and determination of this inspiring group. SAWAH runs at the Fleck Dance Theatre, Harbourfront Centre from April 10th to 13th, 2014. Tickets start from $19 and are on sale now. For more information about the SAWAH, click here.